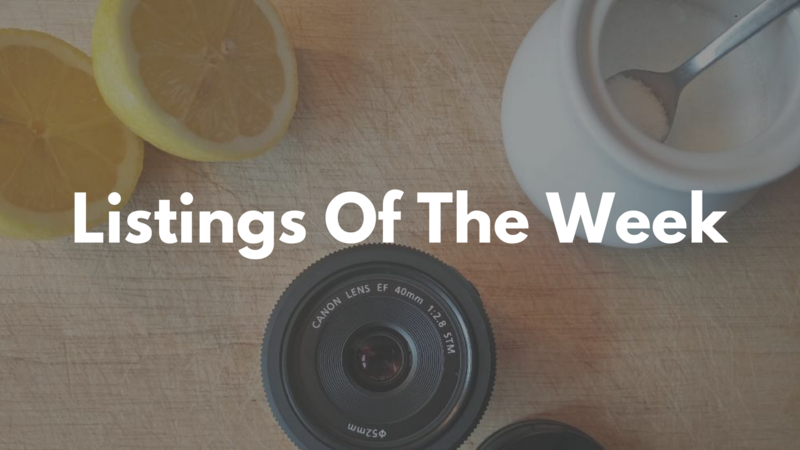 This week, we pay homage to a pancake lens, a red carpet, and a pair of formidable looking snowshoes. Top marks for creativity here. Could this be the most ingenious listing picture ever? Take another look. Yep. Darren has snapped his Canon EF 40mm Pancake Lens alongside a halved lemon and a sugar pot. What’s more, he’s offering it for free with daily bookings over £20 – nothing crepe about that deal. Cure awards season withdrawal symptoms by hiring your own red carpet. It’s a whole six months until film award season climaxes with the Academy Awards. But you needn’t wait until then for your next slice of red carpet action. There are a host of releases on streaming platforms in the coming weeks which are well worthy of throwing your own viewing parties, complete with projector hire and popcorn machine: Narcos third season, hits Netflix along with Star Trek: Discovery, and let’s not forget Bake Off’s season finale. Battle the elements in Nick’s snowshoes. OK. So the weather in Seattle – where these snowshoes are listed – is, at the time of writing, due to reach a sunny high of 25°C. However, the winter has a habit of creeping swiftly up on us. Moreover, for Seattle-ites looking to travel up the coast into Canada and Alaska, you now know where to go for appropriate footwear.